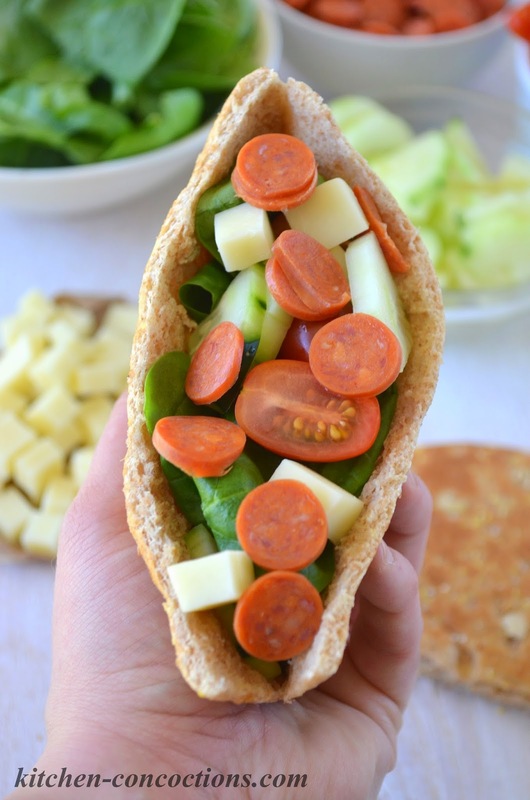 Tired of plain old sandwiches for lunch? 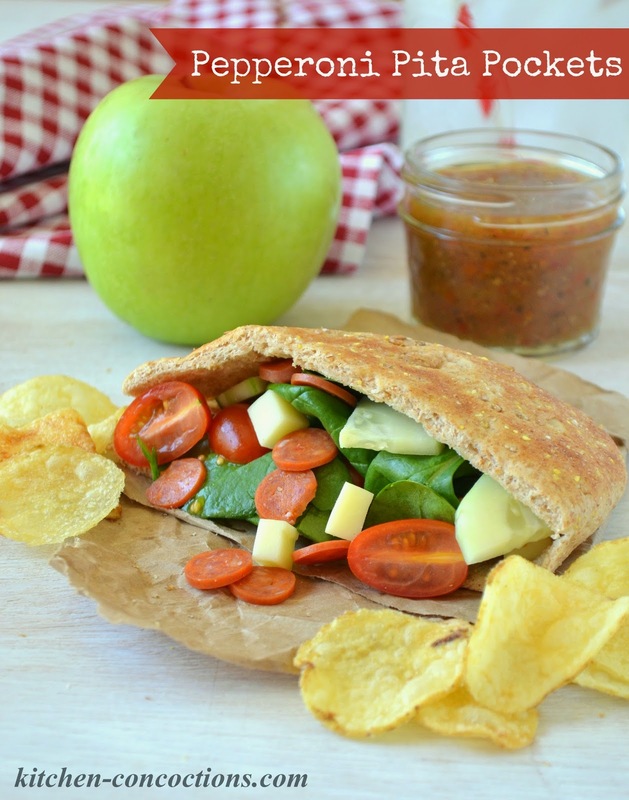 Put a little pep into your daily lunch time routine with some fun pepperoni recipe ideas, like my easy, healthy and tasty Pepperoni Pita Pockets. Many years ago, I needed a break from the food and beverage industry. I had worked for years, working away every holiday and all my nights and weekends doing catering. Don’t get me wrong, I loved what I did and learned so much. I loved meeting new people and being a part of their special celebration, but after many years, I was tired and had lost my oomph. I decided I needed a “normal” job and went to work for a financial company. Sure I had my nights and weekends back… and got every federal holiday off, but that job just was not me. I mean all I did was crunch numbers and turn those numbers into spread sheets all.day.long. It was so boring and my creative spirit was being crushed (on a side note, that was one of the reasons I started this blog was to fulfill that creative side and get back into my passion of food). What got me through the day, besides listening to hours and hours of music, was my lunch break. I giddily looked forward to my lunch hour every day and as soon as the clock turned 1:00 pm I grabbed my things and ran out the door. Yeah, sure I could have hung around and visited with my co-workers in the company break room, but I much preferred a little peace and quite and time all to myself. Luckily, my office was within walking distance of a city park, so that is where I would spend most of my lunch breaks during those two long years. Or at least on the days when it wasn’t like a million degrees in the summer or on the off chance that it might actually be freezing in the winter. This daily time spent at the park was not just time for me to eat my lunch; it was time for me to get out and walk around, read a book (seriously I was reading books all the time when I worked there) and clear my head. Since I always spent my lunch breaks at the park (and because I was on a tight budget and couldn’t afford to eat out), I usually brought my lunch every day. Since the typical sandwich got boring fast (I wanted lunch to be something great I could look forward to every single day) I quickly came up with different lunch box items. This consisted of cold leftovers, salads in a jar and bento boxes way before they were popular, English muffins spread with peanut butter and pitas stuffed with anything I could find. 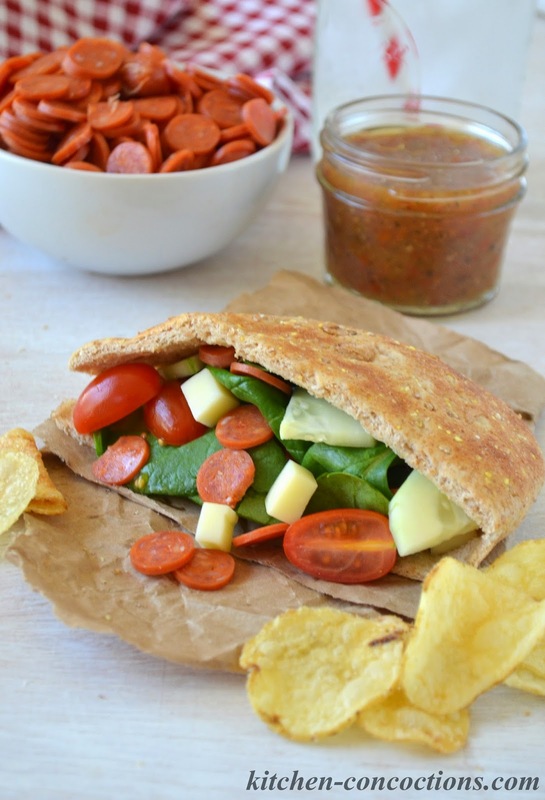 These Pepperoni Pita Pockets are so simple and were one of my favorite lunches then and now. It is a great way to use up leftover ingredients you have lying around, especially Hormel Pepperoni which I always have lingering in the pantry from family pizza night. When making these ahead for lunch, I always leave the dressing off and just drizzle a little on right before serving. However, if you were going to serve them immediately or wanted to make them for a lunch meeting with friends, you could always toss all the filling ingredients with the dressing before hand and then stuff it all in the pita. Seriously whatever floats your boat! What are your favorite things to pack in your lunch box and eat for lunch? 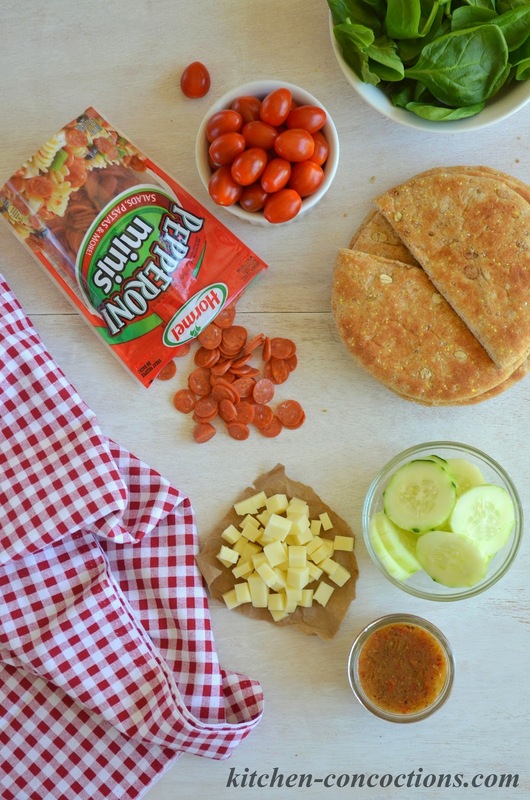 An easy and healthy twist on the traditional pepperoni pizza, these pita pockets are perfect for lunch! Carefully split open the pita pockets. Divide all remaining ingredients, except vinaigrette, evenly between the two pitas, stuffing as much that will fit inside each pita. Serve drizzled with sun-dried tomato vinaigrette. Note: Pitas can be made ahead of time,wrapped and refrigerated. 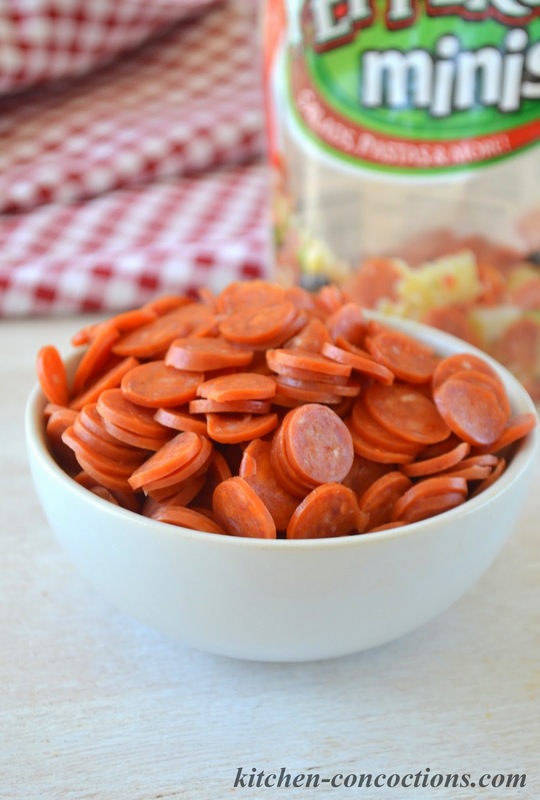 Looking for more ideas to use up leftover pepperoni? Visit Hormel online, like Hormel on Facebook, or follow them on Twitter.